I have a group of 8 paid staff (a mix of part and full-time) that I care for. Our staff each have a group of 8 or so volunteer coaches they give leadership tp. They’re job is to make sure their group of coaches function well as a team, are healthy, and have what they need to succeed; like I do for them. Each of our volunteer coaches have a group of 8 or so volunteer leaders whom they serve, too. These coaches help our small group leaders, ministry team leaders, teachers, and other workers do what they need to do. If any of these leaders need help they go right to their coach. It’s their coaches job to give them the same leadership that they’re getting from their staff lead, who is getting that from me. Our in-the-trenches leaders care for 8 or so kids in small groups and ministry teams. They’re writing notes, at games, recitals, when tragedy strikes, etc. They are the backbone of our ministry. Our care structure isn’t always this neat and clean, but this is what it looks like in its most ideal form. It’s not meant to separate staff from volunteers or staff from kids. The heart and soul behind it is to help make the work more manageable so everyone can get the care they need without burning anyone out. 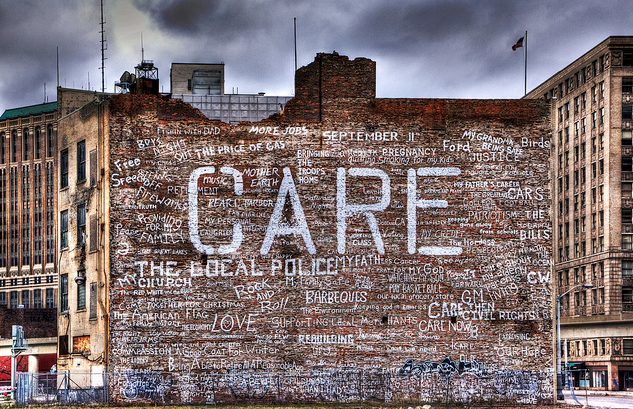 What does your ministry’s care structure look like? What are some things you can do to make it even better?